When you lead a busy life, managing work, family & friends, you need somewhere that you can relax and call your own. It might not be so easy getting the idea of a Mancave past the other-half, but that’s the first challenge. Once you manage to convince them that the best use for the spare room is a Mancave, you can move onto step 2. The second stage of the perfect lad pad, is deciding on the perfect decor and gadgets to impress your mates! This is, after all, going to be a place to escape reality and spend a lot of social time – so it has to be right! 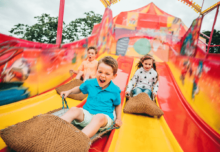 You can choose whatever fun games you want to make this place paradise for you and your friends. 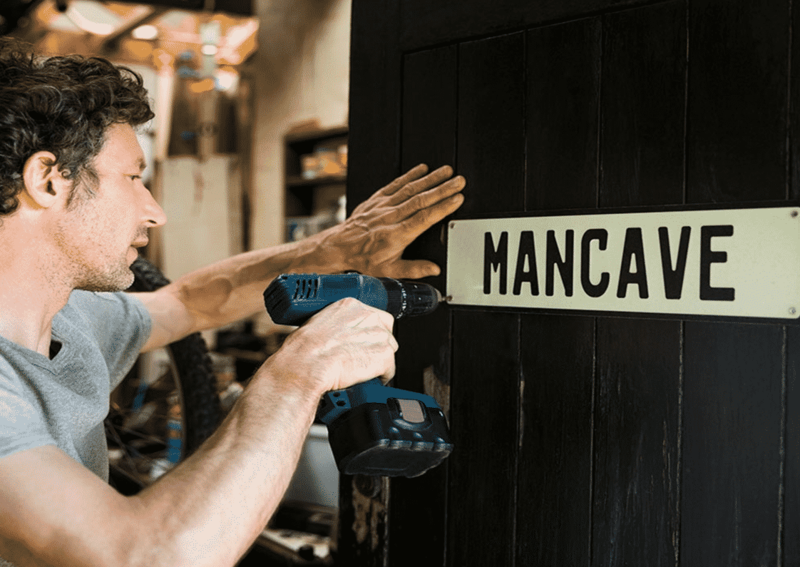 But, what should you have in your mancave? Well, let’s have a look at the top 10 must-haves this year! Air Hockey table for some healthy competition! If there was one game that everyone enjoyed as a kid in an arcade, it has got to be air hockey! 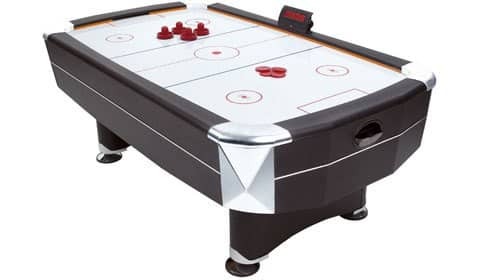 Now you can have your very own air hockey table in your mancave and all of your friends and family will love to join in the fun. While it seems easy to get the puck into your opponent’s goal, this game definitely gets competitive so be prepared to battle it out to be the winner! You are not going to want to travel through the house to the kitchen past the wife when you are in full-flow FIFA, so a drinks fridge is essential for your man cave. No need to leave to get a beverage; you can just grab a cold one and relax! 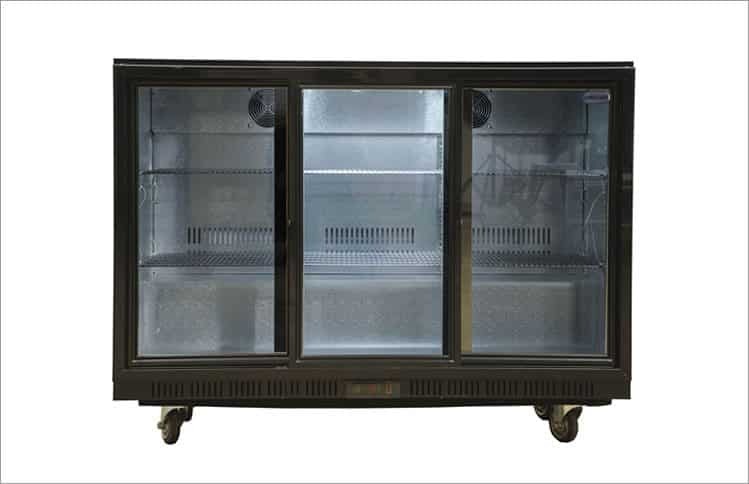 Whether you are watching the football with friends and want to have the fridge stocked with beers or are having a family gathering and want to have refreshments, the fridge is a must-have that will be useful for any occasion. Plus, you can even make it into a complete bar space, with tables and chairs; the possibilities are endless! Check out this 3 door sliding fridge from Passion 4 Events. A gathering with the lads wouldn’t be the same without some banter and a bit of competition. 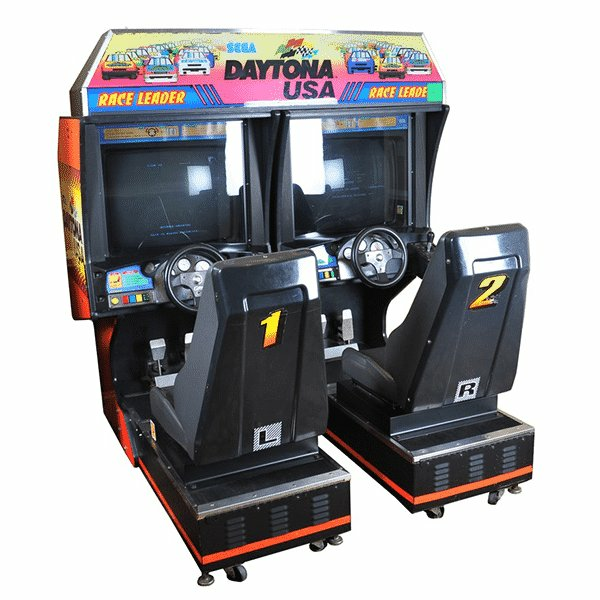 Test your skills and create a leaderboard with the Daytona USA Twin Arcade Machine. 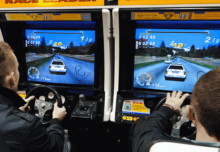 This is a classic game that everyone loves and offers a superb driving experience like no other. You can sit behind the wheel and race the world-famous Daytona race track with NASCAR and get up to speeds of 200 mph. All ages will love this game! Pool tables go down a treat! Having a pool table is a great form of entertainment when you have friends round. 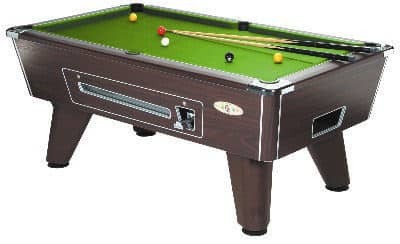 This six-foot pool table will enjoy pride of place in your mancave and the Supreme Winner is one of the best-selling pool table designs in the UK. So, take on one of your friends and see who can pot the most balls! This is also great if you want to spend time with the family in your games room. They don’t tend to have many pubs with pool tables these days, so it’s bound to go down a treat! Western themed bar furniture anyone? Everyone needs a table in their mancave. 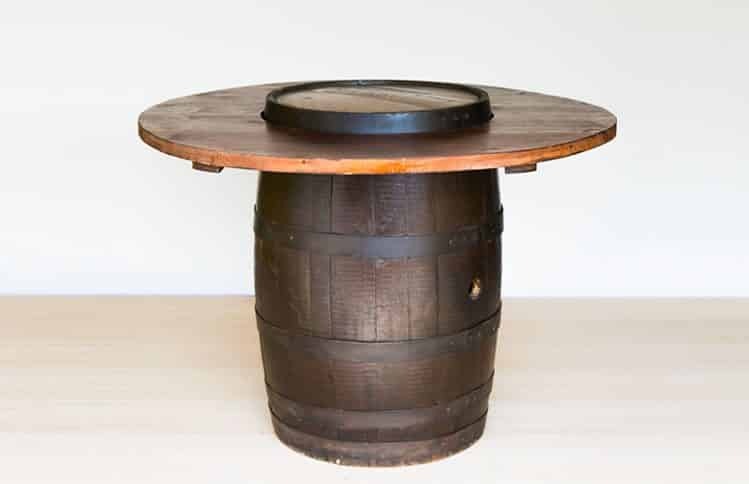 But why have an ordinary and boring table when you could have a vintage barrel? Now you can combine style with practicality and make sure that your mancave is cool. This table is made from an old style barrel, which has glass on the top so that you can place your drinks or snacks on it. Everyone will be wondering where you got this beauty! Who will score the highest on the punch bag? Are you a fan of boxing? 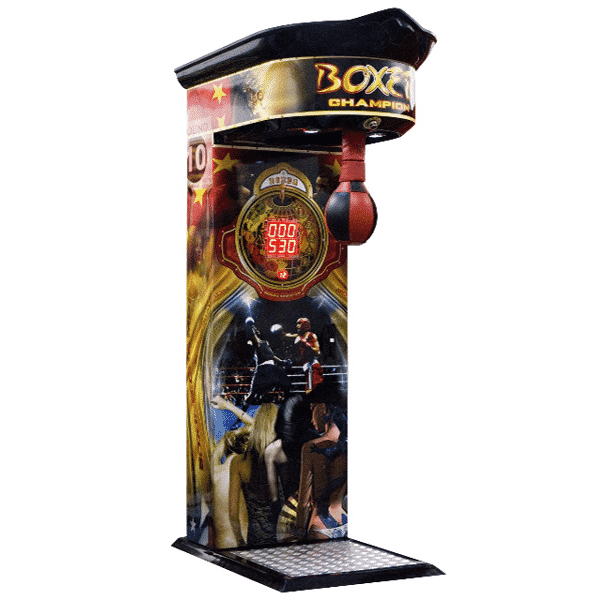 Then you definitely need a boxing machine for your mancave! This boxing machine lets you practice your training bag techniques and even measures your strength, meaning you don’t have to leave your home and go to the gym. There is a point and high score system that makes this machine fun and bright lights and music that add to the atmosphere. Plus, you can even change the difficulty levels to give yourself a challenge! Are you ready? Star Wars fans need this! 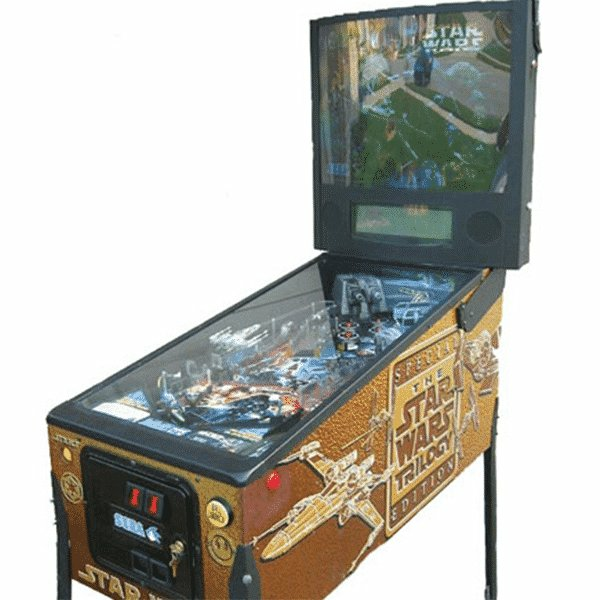 Every mancave needs games, which means you have got to check out the amazing Star Wars Trilogy Pinball Machine! This is just what you want if you are a fan of the Star Wars movies since it has a themed field where you must guide the steel ball to score as many points as possible. This Star Wars Trilogy pinball machine is considered one of the best that was ever made by experts. Are you looking for a fun way to create a living room area in your mancave? Then you have got to have bean bags! There are loads of colours that you can choose for and they are a casual and informal way to create a lounging area. They are more fun than just having a couch and they will take up less room too. Plus, they are easy to move around if you are having a movie night with friends! 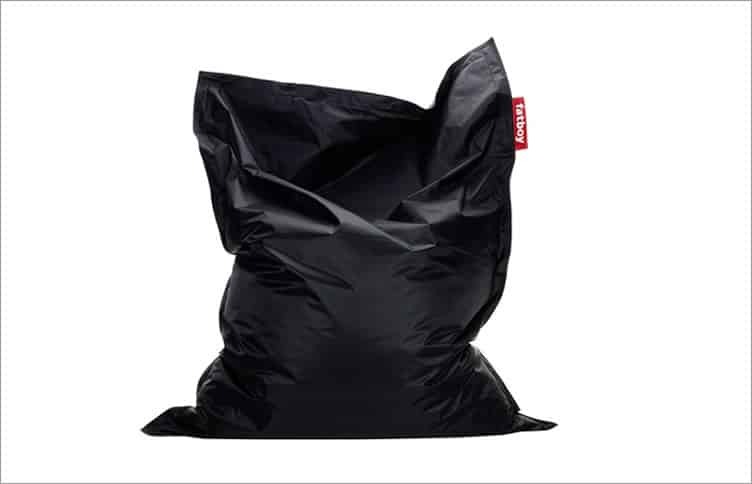 Check out this Fat Boy Black Bean bag hire from Passion 4 Events. When you have friends round, there is no better fun than to have a game on the football table! 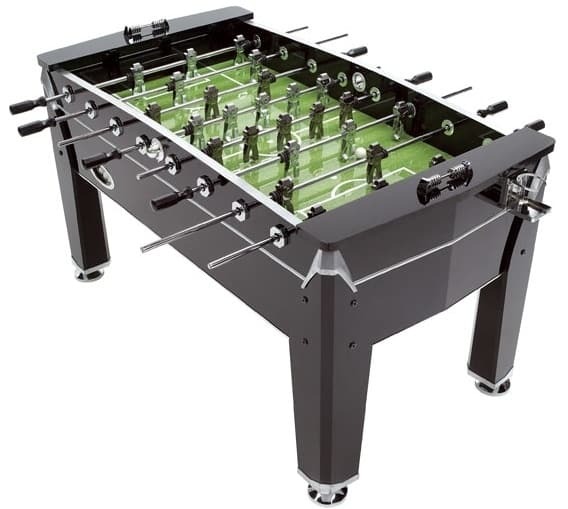 Often called a foosball table, you can take control of your team with the control knobs to try to hit the ball into your opponent’s goal. This game will provide hours of entertainment for you and your friends; you can even start a knock-out tournament to have some fun! back to the old school with a retro Pacman Aracde game! No mancave is complete without a retro arcade machine! The Original Pacman Arcade Machine is just what you need to have fun and kickback. This classic is just what you need for entertainment and you will play for ours as you navigate Pac-Man through a maze, trying to avoid the coloured ghosts called Pinky, Inky, Clyde and Blinky. As you progress, the levels get hard, so you have got to be up for the challenge! The Pacman arcade machine is fantastic when you have guests round and everyone will be wanting a shot.